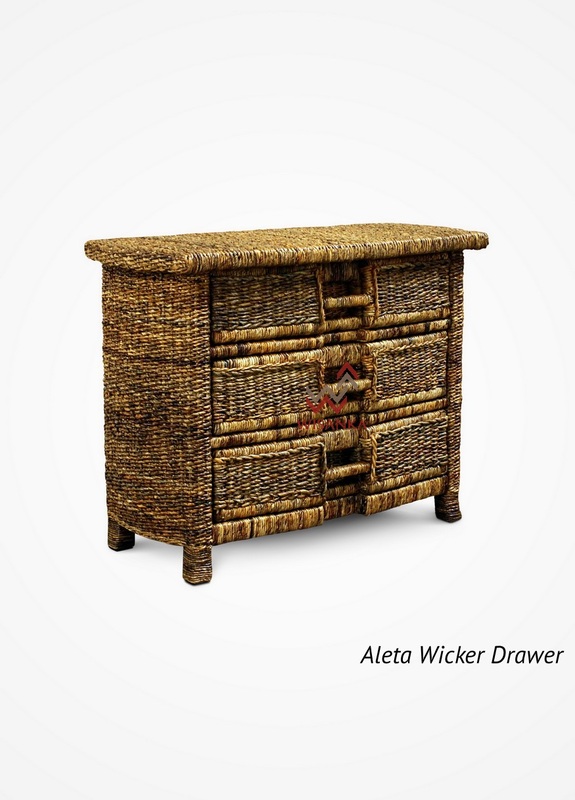 The Aleta Cabinet with 3 wicker drawers is woven from high quality natural fiber wicker on an expertly finished solid wood frame in a beautiful antique brown finish. It features cane handles. 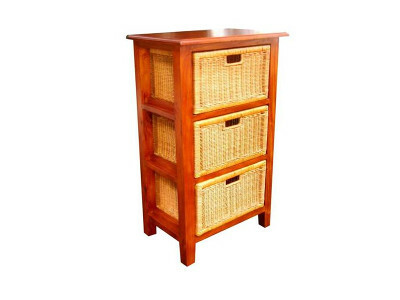 Each drawer is fitted with drawer gliders.